Doing It Outside Since 1957. The University of Toronto Outing Club (UTOC) is a not-for-profit, non university-affiliated organization founded in 1957 by U of T students. Since our incorporation, we have expanded our membership and mandate to be as accessible and welcoming as possible to all outdoor enthusiasts from the Greater Toronto Area and Grey-Bruce County community, in addition to U of T students, alumni, and staff. 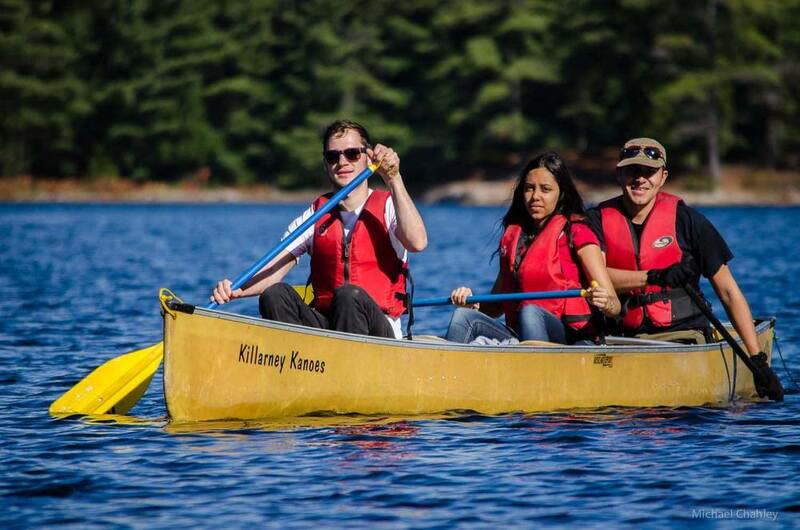 We pride ourselves in being a friendly, welcoming community offering frequent, inexpensive weekend and day trips to many parts of Ontario (and sometimes beyond), with longer trips involving camping and hiking in provincial/national parks. Our most popular weekend trips are the group excursions to the cabin (located near the Georgian Bay - learn more in the next section), with trip sizes varying from 5-6 people to our occasional large trips of 30-35. The club also organizes regular social events within the city of Toronto for members and non-members alike, such as our monthly pub social. UTOC mandates to protect the ecological and historical significance of the natural areas surrounding our cabin of Grey-Bruce County by promoting conservation, maintaining the ski and hiking trails surrounding our property, as well as having founded the Kolapore Wilderness Trails Association. We look forward to seeing you on one of our trips soon! Our prized possession is our cabin in the woods, located just southwest of Collingwood, ON. The Cabin is owned and operated by our club, and was built by club members in 1968. 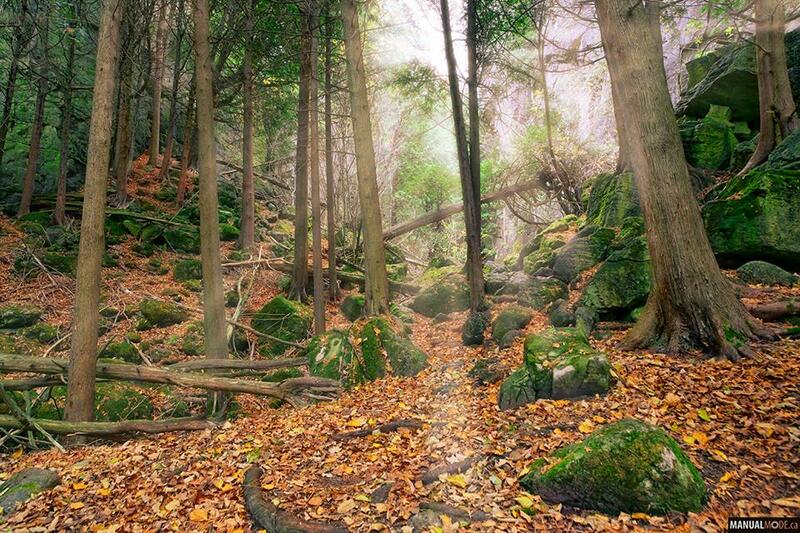 It is located directly on the Bruce Trail, at the base of Metcalfe Rock, a gem on the escarpment boasting the province's best rock-climbing routes, explorable fissures and caves, and unbeatable views over Grey County. The Cabin is used to host a variety of club events, trips, and excursion weekends. Popular activities at the cabin include cross-country skiing on the over 45km of trails leading right away from the cabin's doorstep, mountain biking, hiking, caving, rock climbing, swimming, and canoeing. We are proud to own a rustic cabin, and not a cottage. The cabin has no electricity, instead being lit by propane lamps, and heated by a propane furnace and a wood-burning oven, for that extra cozy feel. It also has no running water - instead we get our water from a stream we have tapped into directly from the depths of Metcalfe Rock. Check out the photo gallery further below to see more photos. Cabin trips are lead by both exec and members who have received instruction on leading a trip and operating the cabin. Once deemed qualified, you may volunteer to run a cabin trip, and the club covers your rent for the duration of your trip, provided you adhere to our standards (opening/closing the cabin, collecting money etc.). -These are sent out via our mailing list. Costs for these trips after cabin rent, food, and gas, total about $60 for a weekend for two nights. -If you would like to lead a trip if there isn’t one running, and can commit to a date, please get in touch with the cabin officer (cabin@utoc.ca). These trips are open to everyone in the club. Contact our cabin officer (cabin@utoc.ca) for more information about running a public trip or booking it privately, cabin bookings can be found on our calendar so you can see when it’s free. To request a rental or to take something out, come to our office hours. All equipment is stored in our UTOC office in 21 Sussex room 422 on the U of T campus and will have to be picked up during office hours. We would like to thank the generous folks at MEC Outdoor Nation and MEC Toronto for donating outdoor equipment to us and helping kickstart this initiative. Also special thanks to UTOC executives Micheal Chahley and Jimmy Truong who have championed this initiative from the start. For any inquiries (long term rentals, special rates), to talk about donations, or ask about how to help out, feel free to email the equipment officer (equipment.officer@utoc.ca). NOTE: We have recently automated our membership process, if there any issues or if you don’t receive an email within half an hour after you sign up and pay, please email nathaniel@utoc.ca! We accept Paypal, Credit (Amex, Visa, or MC), or Debit. Please fill in your information below, then on the next page you have the option of which type of membership you would like to purchase. Once that's done, you'll be added to our list-serv and should receive a welcome email within the next hour! Your membership won't be complete until you submit your personal information AND payment!! Feel free to email our membership officer (membership@utoc.ca) or come to our office hours (under the contact page) if you have any questions. If you would like to pay cash, please fill out the following form and then email nathaniel@utoc.ca and we can arrange a time at our office however we prefer online payment. We sometimes look for funding from different areas at UofT, having the numbers of our members from certain areas is helpful for applications. How did you find UTOC? Please visit the executive page first if you would like to reach a specific member or committee. Emails sent to the general inquiry email first may not be responded to right away. If you would like to come to the office during the summer please email officehours@utoc.ca and we can find a time that works. Our last scheduled office hours for the winter semester is Friday April 5th from 12:30pm to 1:30pm. To contact us reach us through our facebook group or shoot us an email directly!